Bloody night from July 15 to July 16, 2016, when a violent coup d'état was attempted, has largely changed modern Turkey. A year before the attempted coup was very difficult for the Republic of Turkey. Active negotiations with the European Union on membership in the organization. A large-scale migration crisis that led to problems in relations with the EU. Syria torn apart by the war in the neighborhood. Systematic terrorist acts of Kurds and ISIS. However, trials for a strong state did not end on that. The attempt of a military coup on July 15, 2016 became a challenge not only for the Turkish government, but for the entire Turkish people. On that fateful night the whole nation demonstrated its adherence to democracy and reluctance to experience the repeated military coups of the 20th century to the organizers of the putsch - the terrorist organization FETÖ, and to the whole world. The consequences of July 15, 2016 are still affecting the state. 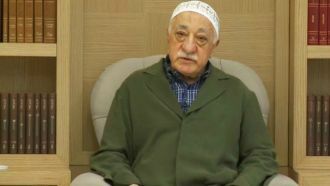 The first painful and important issue for Turkey after the failed attempt of a coup was the extradition of the leader of the FETÖ terrorist organization, standing behind the attempted military coup, Fethullah Gülen, from the US. The collected evidence was forwarded to the United States in the administration of Barack Obama. And later on, Turkey sent the request for extradition of the terrorist leader at least 5 times. The issue was so acute for the Turkish society that, on the initiative of the representatives of the Turkish diaspora in the United States, on July 17, a petition for the extradition of Gülen was posted on the official website of the White House. However, despite all attempts of the Turkish administration to reach official Washington, these aspirations have so far been unsuccessful. The question is still open, although the newly elected President of the United States, Donald Trump, promised the Turkish side to assist in the extradition of Fethullah Gülen. The state of emergency was introduced throughout Turkey on July 20, 2016 for a period of three months. However, it has continued to the present day. For the first time, the decision to extend the state of emergency was taken in October 2016. In January 2016, the Turkish parliament extended it for another three months. Then the reason for extending the emergency powers of the government was a terrorist attack on a nightclub in Istanbul, committed by an unknown gunman on New Year's Eve. The state of emergency in Turkey will continue until the complete elimination of the terrorist threat in the Republic. 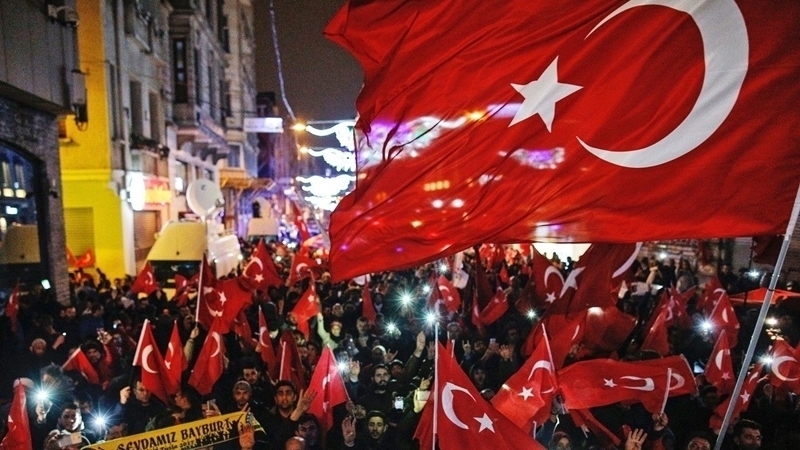 After the failed attempt of a military coup across Turkey, a large-scale operation was launched to detain all those involved in the putsch, as well as all those suspected of having links with the terrorist organization FETÖ. The organization that had being created over the years, had a large number of cells, an extensive network, its own people who had penetrated into all the bodies of state power. This is not speaking about schools, lyceums, cram schools (special educational institutions for preparing for entrance examinations to universities, now abolished), dormitories, cultural centers. The organization involved not only military men and officers of different ranks, but also judges, prosecutors, civil servants, presidential advisers, employees of virtually all ministries, the National Intelligence Agency and others. In total, more than 100 thousand people were dismissed during the year. Now these educational institutions, charitable organizations and funds throughout the territory have been eliminated, but the danger still remains. Media licenses that were somehow involved in the activities of Gülen Fethullah are revoked. To the anniversary of the attempted military coup, the Ministry of Justice of Turkey published the latest data on the number of detainees on suspicion of participation in the putsch and the terrorist organization FETÖ. To date, 169 013 people are under investigation, of whom 50 510 people were arrested. The Turkish authorities themselves have repeatedly stated that they do not deny the fact that innocent people were caught in clearing operations. However, these citizens are given special attention and enough time is dedicated to recheck all the information that could prove their non-participation in the putsch or FETÖ. The coup became one of the reasons for holding the referendum. Moreover, Recep Tayyip Erdogan proposed holding two - on amending the Constitution and on Turkey's joining the European Union. On April 16, 2017, the referendum was held for amending the constitution, providing for a transition from a parliamentary form of government to a presidential republic. 51.32% of voters supported constitutional amendments, 48.68% voted against. According to the Law on the Introduction of 18 Amendments to the Constitution of the Republic of Turkey, it is proposed to transfer to the presidential form of government. Along other matters: the number of deputies of the parliament will be increased from 550 to 600, the age limit for election to parliament - reduced from 25 to 18 years; Parliamentary and presidential elections in Turkey will be held every five years on the same day; The President-elect can retain membership in the political party and others. The anger of the Turkish society, which in fact has stopped the junta from the attempted military coup, did not end on July 16. Almost immediately following the words of the Chairman of the Parliament of Turkey Ismail Kahraman that all the participants in the putsch are brought to trial, the question of the possibility of imposing the death penalty was raised on the agenda of the Turkish government. In particular, the Prime Minister of Turkey Binali Yıldırım said that the Constitutional Council of the country will consider this issue. Erdogan himself repeatedly stressed that he will sign a law on execution if the Turkish parliament supports it. However, the introduction of the death penalty has negative consequences for the future of European-Turkish relations. This issue became especially acute after the European Convention on Human Rights was suspended in Turkey, so it has remained open. How the anniversary of the coup attempt will be marked? 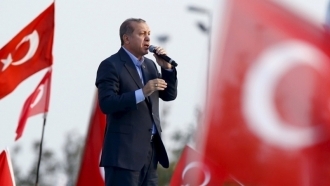 At the call of Turkish President Recep Tayyip Erdogan on the night of July 15, the population of 81 provinces of Turkey will keep the "Watch of Democracy". Memorable events will be held in the places where the main events unfolded on the day of the military coup attempt in Turkey and which became a symbol of resistance to the putschists. This is primarily about the building of the Turkish parliament, the Presidential Complex, the Special Forces Training Center in the Gel'bashi district in Ankara, the Kakhramanqazan metropolitan area, and the National Will Square on July 15, Kyzylai. Furthermore, this is one of the hotels in the province of Marmaris, where on the night of the military coup attempt was President Erdogan, one of the corps of the building of the Turkish National Intelligence Organization in the Yenimahalle area, the Chankaya Palace, the General Directorate of Police, the General Staff building of the Turkish Armed Forces, Gendarmerie of Turkey, TRT TV channel and Turkish satellite company TÜRKSAT. In Istanbul, commemorative events will be organized on the Shekhidov Bridge on July 15, at Ataturk International Airport, Kysykly, Cengelkey, CNN Türk, Sarachkhane, Fatih Sultan Mehmet Bridge, Vatan Street, Esenler, Türk Telekom and on the Istanbul Stock Exchange.